San Jose, Calif., is now among the 10 U.S. cities with a population of 1 million or more, according to estimates released today by the U.S. Census Bureau. California now has three cities with 1 million or more people (Los Angeles, San Diego and San Jose), tying Texas (Houston, San Antonio and Dallas) for the lead among states. When the 2013 estimates were originally released last year, San Jose stood just shy of the 1 million mark. 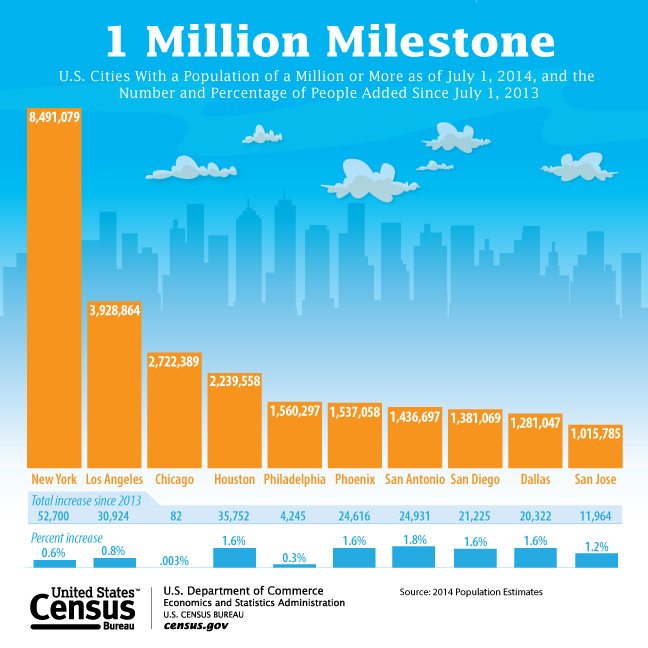 The 2014 population estimates released today show the city passing the 1 million milestone in the updated 2013 estimate. 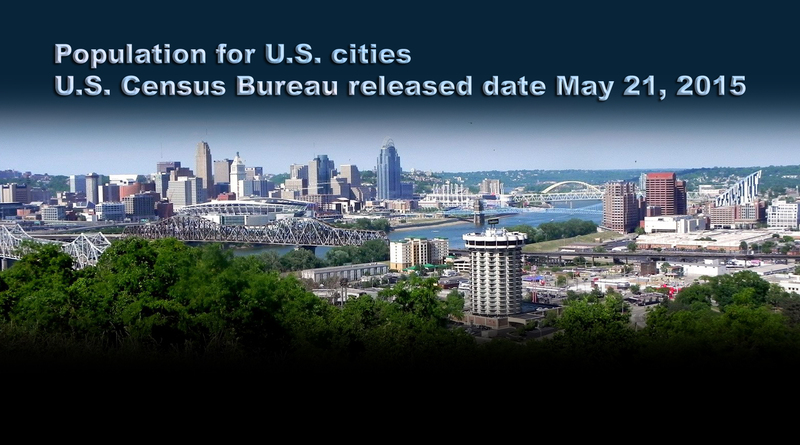 Each year, the Census Bureau revises its time series of previously released estimates going back to the 2010 Census. The updated years in the time series supersede the previously released estimates to reflect additional data used in the population estimates. New York remained the nation’s most populous city and gained 52,700 people during the year ending July 1, 2014, which is more than any other U.S. city. Half of the 10 cities with the largest population gains between 2013 and 2014 were in Texas — Houston, Austin, San Antonio, Dallas and Fort Worth. Each added more than 18,000 people. The Lone Star State also had six of the top 13 fastest-growing cities by percentage — San Marcos, Georgetown, Frisco, Conroe, McKinney and New Braunfels. San Marcos, situated between Austin and San Antonio, was the fastest-growing city for the third consecutive year, with its population climbing 7.9 percent between 2013 and 2014 to reach 58,892. The West was home to eight cities among the top 15 fastest-growing cities with a population of 50,000 or more. Four were in California. Each of the 15 fastest-growing cities between 2013 and 2014 were in the South or West, as were all but two of top 15 numerical gainers. The lone exception, aside from New York, was Columbus, Ohio, which gained 12,421 people over the period to make it the nation’s 13th largest numerical gainer. Ohio’s capital was the nation’s 15th most populous city in 2014, with 835,957 residents. The only change in the rank order of the 15 most populous cities between 2013 and 2014 was Jacksonville, Fla., and San Francisco, each moving up one spot to 12th and 13th place, respectively, passing Indianapolis, which fell from 12th to 14th. The statistics released today cover all local governmental units, including incorporated places (like cities and towns), minor civil divisions (such as townships) and consolidated cities (government units for which the functions of an incorporated place and its parent county have merged). 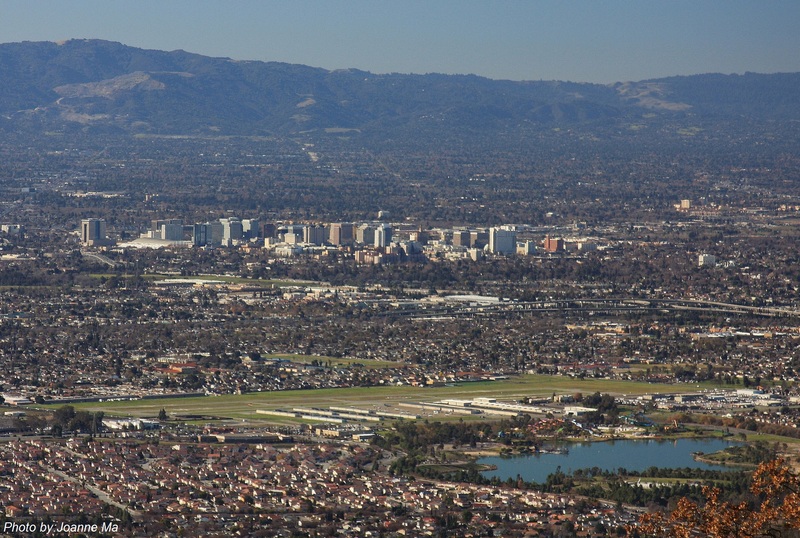 San Jose, California is the largest city in the Bay Area (followed by San Francisco and Oakland). Levi’s Stadium, home to the San Francisco 49ers, is located in Santa Clara. The NFL stadium is just 8.9 miles from downtown San Jose or 43.4 miles from downtown San Francisco. For the first time since Hurricane Katrina struck in 2005, New Orleans (384,320) returns to the list of the 50 most-populous cities this year, with Arlington, Texas, dropping off the list. Irvine was one of four California cities among the 15 largest numerical gainers (Los Angeles, San Diego and San Jose were the others). It was also the only city in the U.S. to be among both the 15 largest numerical gainers and the 15 fastest growing. The Orange County municipality grew by 11,420 people, or 4.8 percent, over the period to reach a population of 248,531 in 2014. Four areas crossed the 50,000-population mark for the first time since the 2010 Census; all of them were in the West. In alphabetical order by state, these areas were: Cerritos, Calif. (50,004), Commerce City, Colo. (51,762), Caldwell, Idaho (50,224) and Burien, Wash. (50,188). One area in the Midwest dropped below the 50,000 mark this year: Saginaw, Mich. (49,844). Among the 50 largest places in the country, three moved more than one position on the total population ranking list since 2013. In addition to Indianapolis, Memphis, Tenn. (656,861 population in 2014) fell three positions, putting it in 23rd place; and Louisville, Ky. (612,780) dropped two positions to 30th. Of the 19,509 incorporated places in the United States, around 76 percent (14,819) had fewer than 5,000 people in 2014. Only about 3.8 percent (749) had populations of 50,000 or more.